Bhubaneswar : Odisha welcomes the 7th annual National Tribal Craft Mela 2018 at Tribal Museum Complex in Bhubaneswar. The event has been inaugurated by the state Chief Minister Naveen Patnaik. This year, more than 200 artisans from 14 states across India participated in the tribal carft mela. The event aims at promoting traditional tribal art, culture and handicrafts in the country. It has rolled out on Saturday and is scheduled to continue for seven days or till November 30. 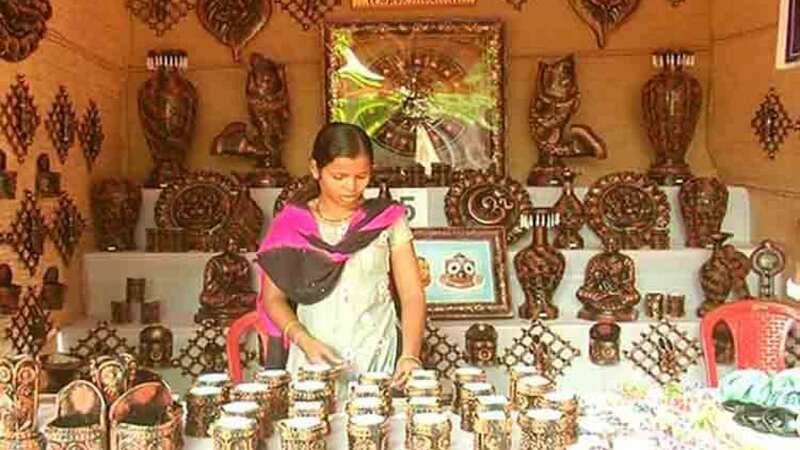 In Odisha Tribal Craft Mela, visitors will find arrays of traditional craft materials made up of bamboo, clothes and pottery. The handicrafts are the main attraction apart from other traditional crafts exhibited in the fair. “I am very happy to inaugurate the National tribal crafts exhibition 2018. 14 states of the country including Odisha are participating in the event. I expect a good footfall this year,” said Patnaik. Besides exhibition, the traders at the mela see it as a good employment opportunity. “We were trained here for three months under the Odisha Tribal Empowerment and Livelihoods programme to make different items like idols, pen stands and flower base, helping us become self-dependent,” said a trader, Subhadra Naik.